As African societies come to live more and more in cities, they do so in ways that challenge prevailing theories and models of urban development in geography, sociology, anthropology, and planning. 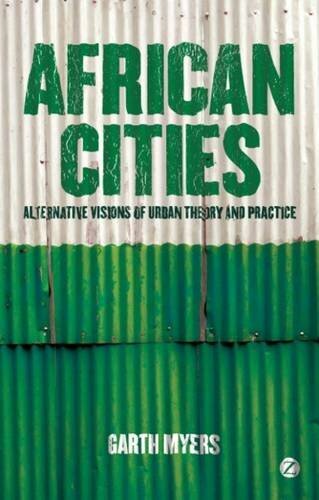 In this groundbreaking book, Myers uses African urban concepts and experiences to speak back to theoretical and practical concerns. It argues for a re-visioning - a seeing again, and a revising - of how cities in Africa are discussed and written about in both urban studies and African studies. Cities in Africa are still either ignored - banished to a different, other, lesser category of not-quite cities - or held up as examples of all that can go wrong with urbanism in much of the mainstream and even critical urban literature. Myers instead encourages African studies and urban studies scholars across the world to engage with the vibrancy and complexity of African cities with fresh eyes. Touching on a diverse range of cities across Africa - from Zanzibar to Nairobi, Cape Town to Mogadishu, Kinshasa to Dakar - the book uses the author's own research and a close reading of works by other scholars, writers, and artists to help illuminate what is happening in and across the region's cities.